Master PDF editor is a complete solution for viewing, printing and editing PDF files. It’s developed by Code Industry Ltd and available for Linux, Mac OS X and Windows. 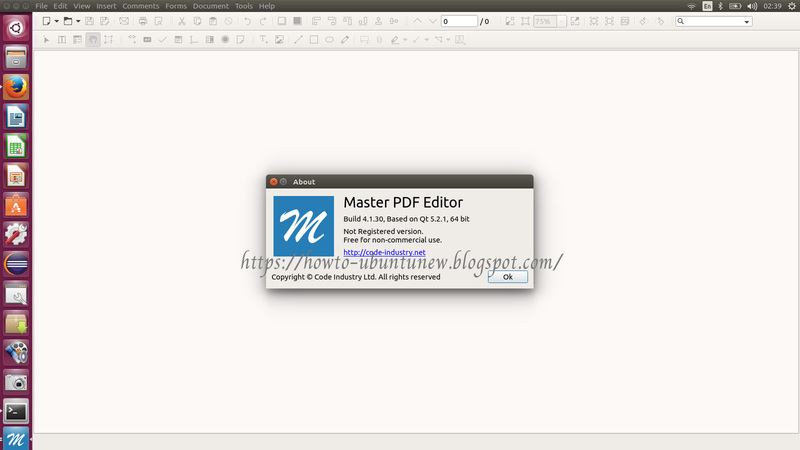 Master PDF Editor 4.0 is based on version 3.x. New release of the established PDF editor has all the best of what was implemented for earlier versions, but with lots of bug-fixes, new features and tools. Added function of scanning paper document into PDF file. Added OCR – optical character recognition. Added “Add/Delete Headers and Footers” function. Added functionality for PDF export to text format. Added functionality of image files convertion to PDF. Added “Send by email” function with default email delivery application or SMTP. Added virtual grid and implemented possibility to move objects by it. Added different types of comments. Added «Measuring tools» in comments. Added possibility to export/import PDF forms when exporting/importing pages. Added possibility to use system fonts in PDF forms. Added search function for following parameters: “Whole Words Only” and “Find Previous”. Improved general text search algorithm. Increased number of settable PDF document properties (File – Properties – Initial View) Also improved possibility to display document according to these properties on opening, if Default is set in Default Layout and Zoom. Fixed issues, which occurred on resaving of some PDF documents. Thanks for shear it.....Download Latest Version↪►► Master PDF Editor Crack...... You are doing right job.